Fresh Raw Minced Meat With Spices On Pan Ready To Be Cooked. Grey Background, Horizontal With Copy Space. Closeup. Italian Kitchen, Bolognese Sauce Cooking. Lizenzfreie Fotos, Bilder Und Stock Fotografie. Image 114631577. 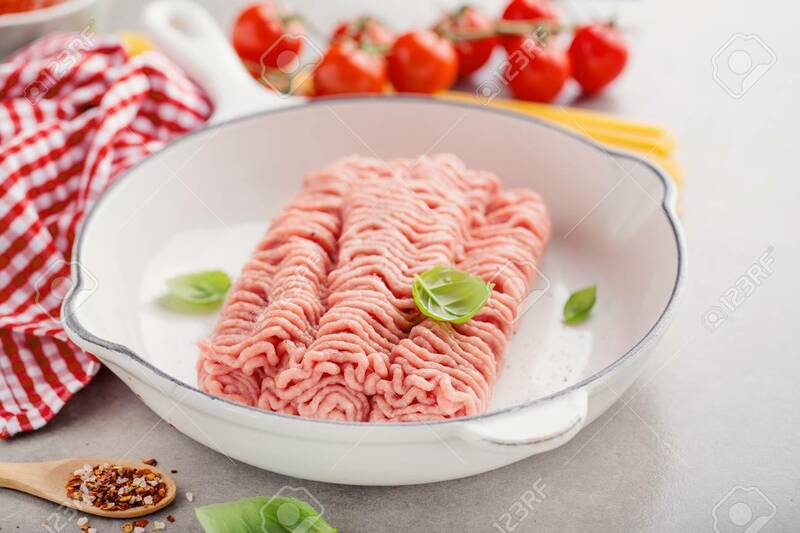 Standard-Bild - Fresh raw minced meat with spices on pan ready to be cooked. Grey background, horizontal with copy space. Closeup. Italian kitchen, bolognese sauce cooking. Fresh raw minced meat with spices on pan ready to be cooked. Grey background, horizontal with copy space. Closeup. Italian kitchen, bolognese sauce cooking.